Every department, be it pantry, bed rolls etc, will have separate WhatsApp groups, in which status report of cleanliness will be uploaded on a daily basis. NEW DELHI: The Northern Railways will now monitor cleanliness of its trains using WhatsApp groups supervised by senior officials. "WhatsApp groups have been created for train and pantry cleanliness, bed rolls and functionality of air conditioners in trains. 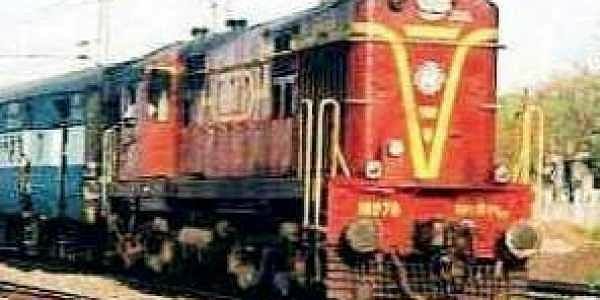 Photographs are being uploaded in these groups for monitoring by senior officials," Northern Railway General Manager Vishwesh Chaube said. The zone will also soon commission an automatic coach washing plant at the Hazrat Nizamuddin railway station which can wash a 24-coach train thoroughly in under eight minutes. The plant, which is currently undergoing trials at the station, is being set up by the Northern Railways at a cost of Rs 1.6 crore, he said. The automatic plant will consume around 240 litres of water to wash a coach as against 1,500 litres required in manual washing, Chaube said, adding that the unit will use 20 per cent fresh water and 80 per cent recycled water. The plant can wash 250 coaches per day, he said. The coaches will be cleaned using vacuum cleaners, scrubbers and jet cleaning machines. Branded chemicals will be used instead of phenyl, and perfume and mosquito repellents will also be used, Chaube said. "OBHS (on board housekeeping staff) is uploading time-stamped pictures on WhatsApp groups for monitoring," he added. Chaube said under Project Utkrisht, eight trains having 16 rakes would be upgraded by the end of 2018-2019. These coaches would have anti-graffiti exterior paints, state-of-the-art toilet fittings and odour control system, among others. To keep the station area and tracks clean, 4,415 bio-toilets have been fitted in coaches in 2017-2018 against a target of 4,000 and 6,000 more will be fitted in 2018-2019 to cover all NR coaches, he added. There is a target of installing CCTVs in 340 coaches - 265 in Delhi and 75 in Ferozpur divisions - for online monitoring of cleanliness and safety, the GM said.